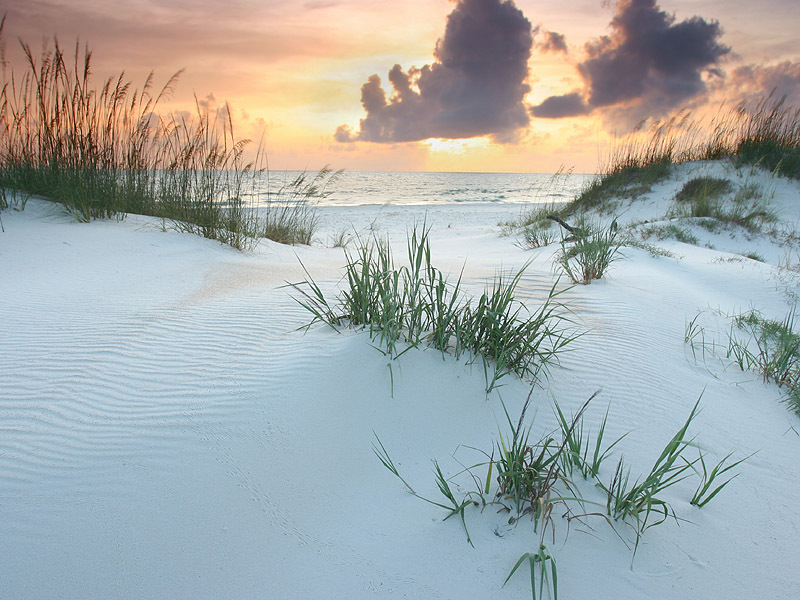 With miles of white sugar sand, this park has one of the top rated beaches in the United States. Sunbathing, snorkeling, and swimming are popular activities along the Gulf of Mexico and St. Joseph Bay. 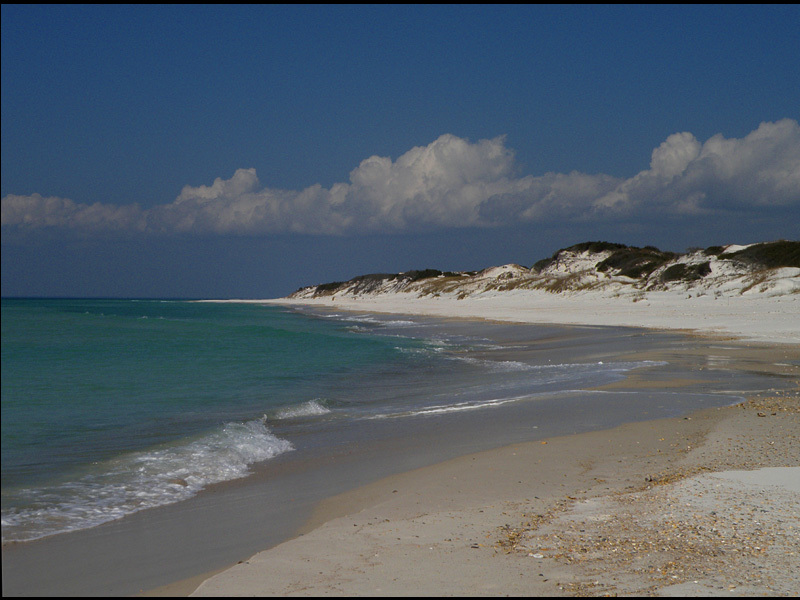 From offshore, canoeists and kayakers can take in a superb view of the high dunes and sand pine scrub. 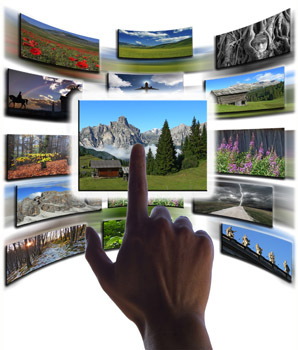 Outdoor enthusiasts can enjoy camping, fishing, hiking, and bicycling. 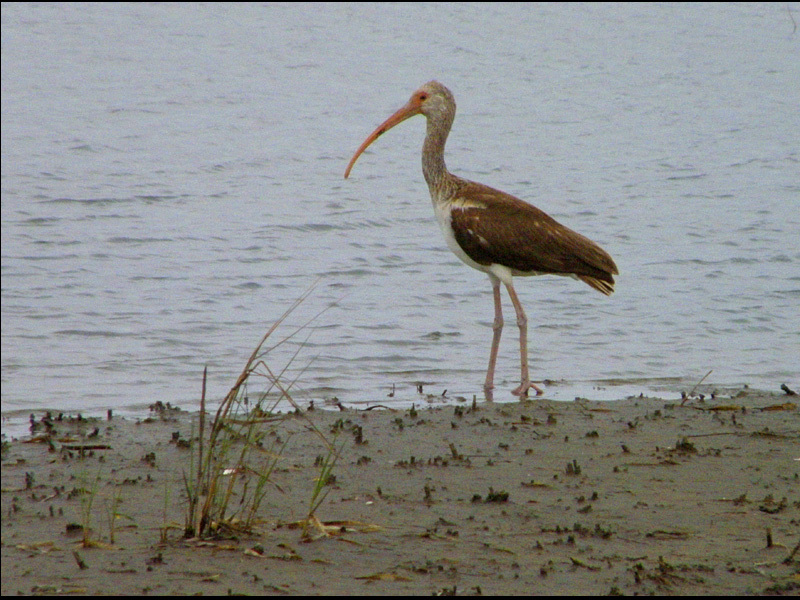 As a coastal barrier peninsula, St. Joseph provides excellent opportunities for bird watching; over 240 species have been sighted in the park. A boat ramp is located at Eagle Harbor on the bay side. Campers can stay in a full-facility campground, a short walk from the beach, or at primitive campsites in the wilderness preserve. Eight cabins on the bay side offer alternative overnight accommodations. Prehistoric and Indian Occupations:The Woodland stage is the third major stage of cultural development in eastern North America. This stage, the first evidence of habitation, is marked by population increases along the coast, probably because sea levels stabilized around 400 B.C. More burial mounds were constructed and trade networks increased. The Weeden Island people (ca.A.D. 500-2000) exploited shellfish, fish, deer and nuts as primary food resources. The Mississippian culture ( A.D. 1200-1700) developed in the Apalachicola River around A.D. 1000. 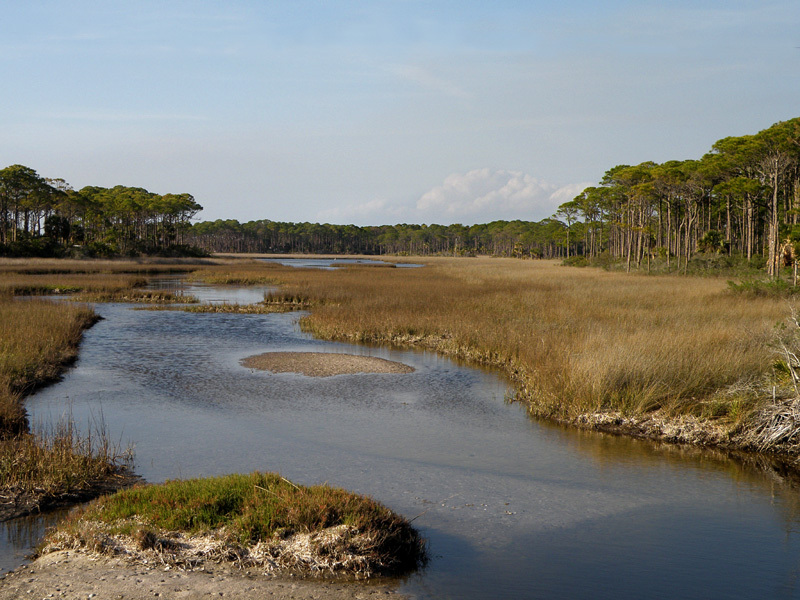 Contacts between the Weeden Island culture and the emerging Mississippian groups brought new ideas, however, coastal groups seem to have continued a subsistence strategy. 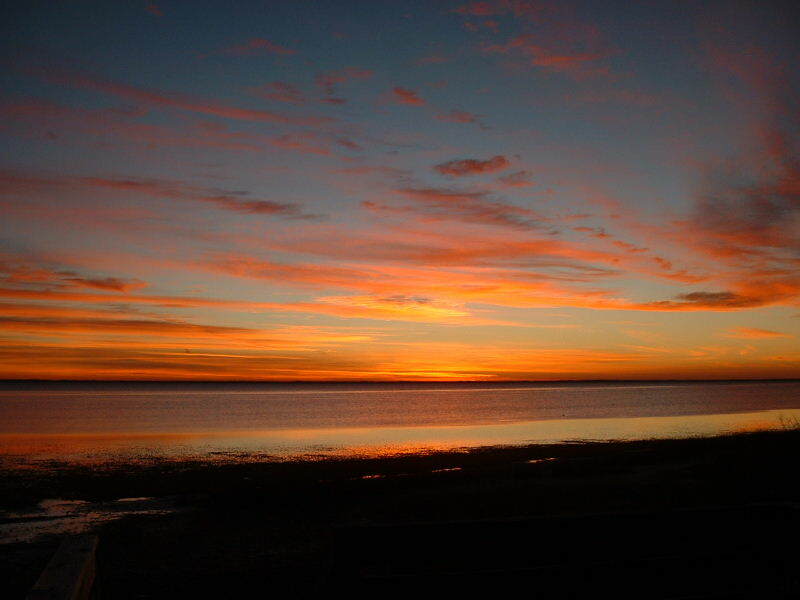 There is no definitive archaeological or historic evidence about Indian groups at the spit when Europeans arrived. European Exploration and Settlement:St. Joseph Bay appears to have been reported first by Spaniards from Pensacola in 1699 who reported seeing the prow of a shipwreck. Named San Joseph de Vallardes in honor of Comte de Moctezuma, the bay was occupied by 1701 in order to prevent the French from interrupting the Spanish supply route to Pensacola. A garrison placed on the mainland at the mouth of the bay supported hunting, farming and a small lookout station on the spit. The British led and instigated Indian raids against Spanish settlements and ranches between 1702-1704. Spanish and Indians captured and enslaved by the British were taken to Charleston. Hispanic troops looking for survivors in 1705 found the area abandoned and decided against establishing another outpost. The French attempted to build Fort Creve Couer on the mainland in 1718 but the Spanish at Pensacola demanded they leave Spanish territory. Although the French attempted to burn their unfinished fort, it was not destroyed and later was occupied by Spanish troops from San Marcos. In early 1719 France, England and Austria were pitted against Spain, French troops from Mobile captured Pensacola. Soon after, the Spanish Presidio San Jose, a fortified settlement was built at the tip of this peninsula. By the end of the year more than 1200 soldiers and convicts from Cuba, Veracruz and Mexico city along with their superiors, wives, children and servants were living in and around the fort. Abandoned in 1723, its remaining buildings were dismantled and used to build a presidio at Pensacola. American Period:Established in 1835, St. Joseph vied with Apalachicola as a shipping port. In 1839 a lighthouse began operating at the tip of the spit and guided local shipping. By 1840, Apalachicola outcompeted St. Joseph as a commercial port and the crippling yellow fever epidemic in 1841 doomed the early settlement. 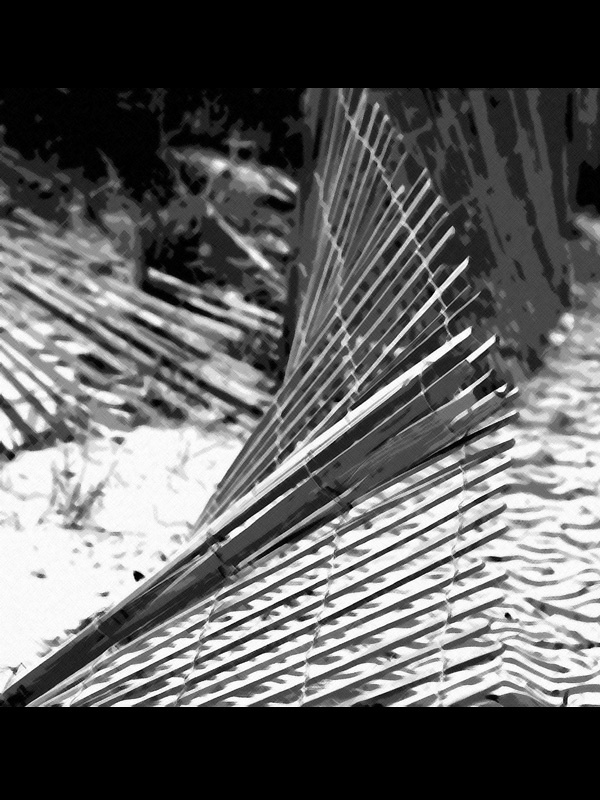 In 1844, buildings not transported to Apalachicola were destroyed by a mighty hurricane. The lighthouse ceased operation in 1847 and was leveled by another hurricane in 1851. An August hurricane of 1851 forced the grounding of the S.S. Florida on the east side of the tip. Only the metal firebox remains in the bay waters. In the early 20th Century a bathhouse was constructed at Eagle Harbor by T. H. Stone so that tourists from the mainland could change clothes for swimming and sailing. Fish camps arose on the east side of the peninsula and a house for local bar pilots was built near the tip. The peninsula was used for gunnery and bombing practice during WWII. After the Korean War, the U. S. Army Reserve took over the remaining military lands for training exercises in 1962 and 1963. A large camp area and bulldozed roads are still evident within the Wilderness Preserve. 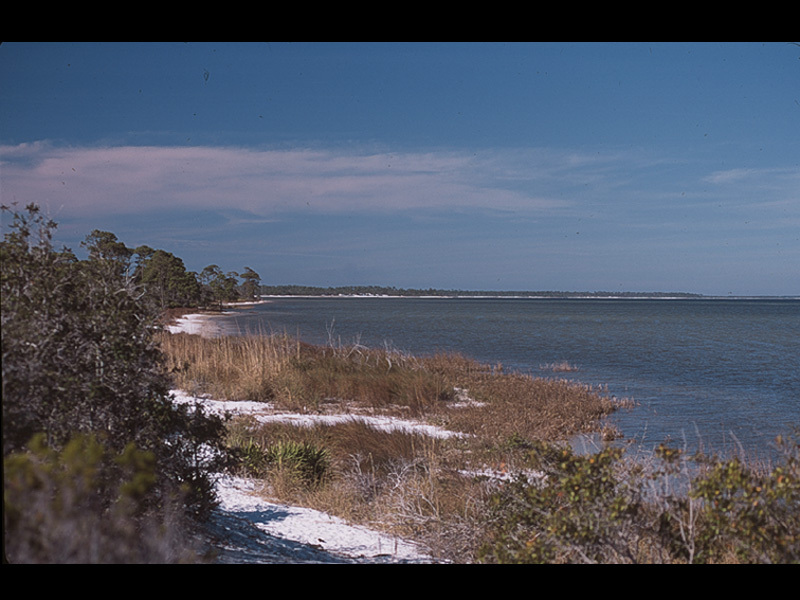 In 1967, as a result of local citizen and political interest, the site was dedicated as the T. H. Stone Memorial St. Joseph Peninsula State Park. 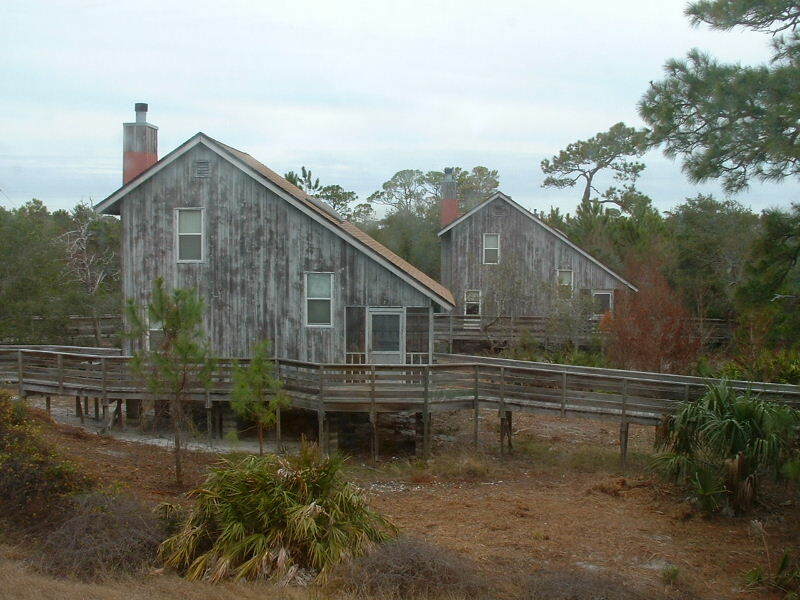 St. Joseph Peninsula offers eight cabins that will sleep a maximum of seven people each. Each cabin has an upstairs loft containing 2 queen-sized beds, a fold-out futon sofa, and a day bed. The kitchen contains a stove, refrigerator, microwave, coffee-maker, basic dishes, pots and pans, silverware, and a dining table. A screened porch with picnic table and rocking chairs faces St. Joseph Bay. Each cabin has central heat and air, as well as a wood burning fireplace. A grill and shower are outside each cabin. Linen is provided. All you need is food and your personal items. St. Joseph State Park Cabin Inventory: BED/LINENS: Pillows, Pillow Covers, Blankets, Flat Sheets, Bath Towels, Hand Towels, Face Cloths. COOKWARE: 2qt. Saucepan, 1qt. Saucepan, 9x14 Baking Pan, 10in Fry Pan, 8in Fry Pan, 5 qt. Dutch Oven, 2 Slice Toaster, 4 Cup Coffee Maker, Colander. COOKING UTENSILS: Chefs Knife, cutting Board, Cooking Spoon, Measuring Cup, Spatula, Can Opener. DISHWARE (Service up to 7 people): Dinner Plates, Small Plates, Bowls, Coffee Cups, Plastic Drinking Glasses, Silverware, 1 Large Bowl. We have 119 campsites with water and electric available. Gulf Breeze sites are more open and can accommodate larger vehicles. The Shady Pines campground is more secluded and shaded. Only registered guide and companion animals are allowed. Camping is allowed in the Wilderness Preserve for a maximum of 14 nights at per/person/night. No facilities are available, campers must bring their own supplies. 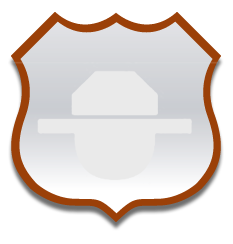 Campers are also responsible to pack-it-in/ pack-it-out and to practice " Leave No Trace" principles where possible" website. Pets are not permitted. Reservations for up to 15 persons may be made up to 11 months in advance by contacting the park at (850) 227-1327. On day of arrival, access may be obtained by phone for boaters wishing to come from outside the park, credit card payment is required. Registered campers must arrive at least 1 hour prior to sunset and must checkout with park personnel. This area offers a primitive overnight site to organized groups of up to 30 or a minimum of 6 persons. Chaperones must be provided for youth groups and must remain with the group at all times. Check in and checkout time is at noon, Eastern. Restrooms, cold water outdoor showers, picnic tables and fire rings are available. Reservations for the Youth Camp may be made up to 11 months in advance by contacting the park office at (850) 227-1327. Sun lovers flock to the 10 miles of white sand beach during the summer where the water temperature averages around 84 degrees. Swimming, sunbathing, fishing, and kite-flying are some of the activities that take place then. Summer is also the time when Loggerhead sea turtles come up onto the beach to nest. Visitors are reminded to not use flashlights or lanterns on the beach at night unless they are equipped with turtle film, from May to October. Artificial light confuses a sea turtle?s perception of the natural horizon. Sea turtle and shorebird nests are marked so that you can avoid disturbing them, allowing them the best chance for survival and success. 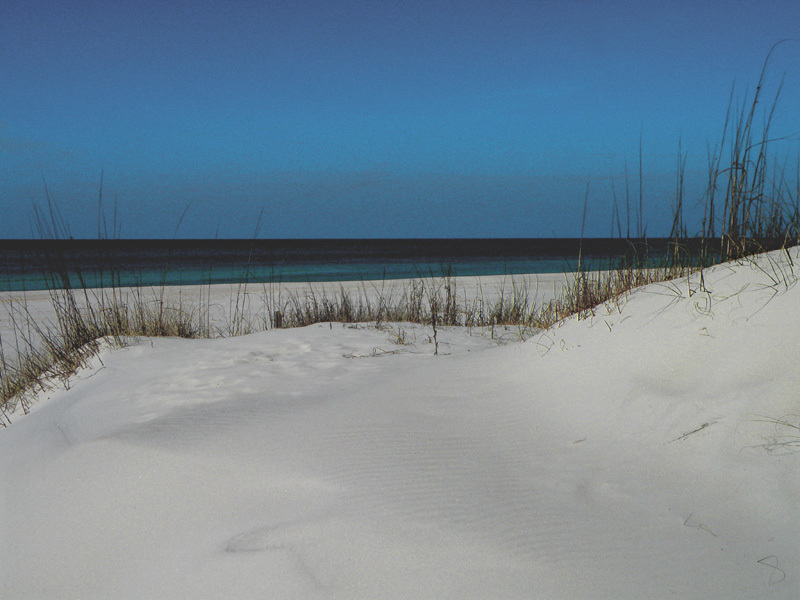 St. Joseph Peninsula State Park has some of the oldest and highest sand dunes in the state. 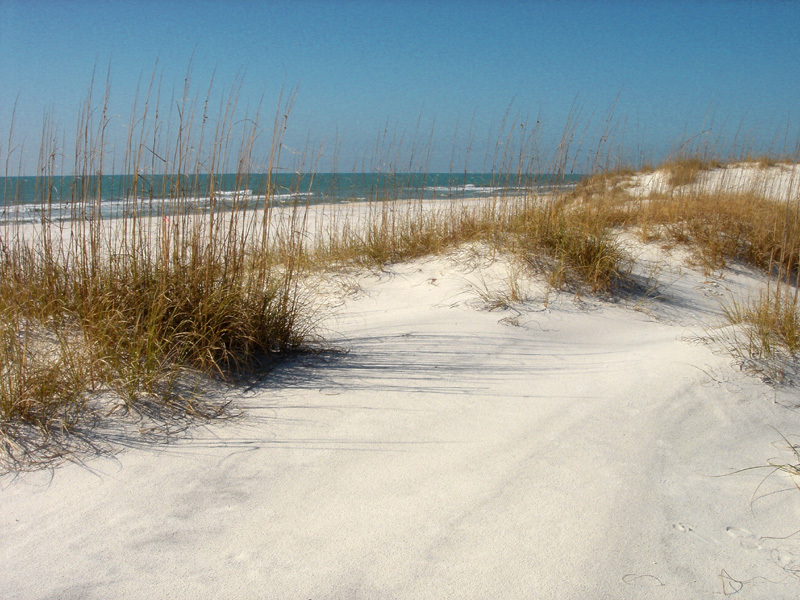 These dunes are inhabited by sea oats and endangered St. Andrews beach mouse. Visitors are reminded to not walk, climb or play on the dunes that provide them with food and shelter. 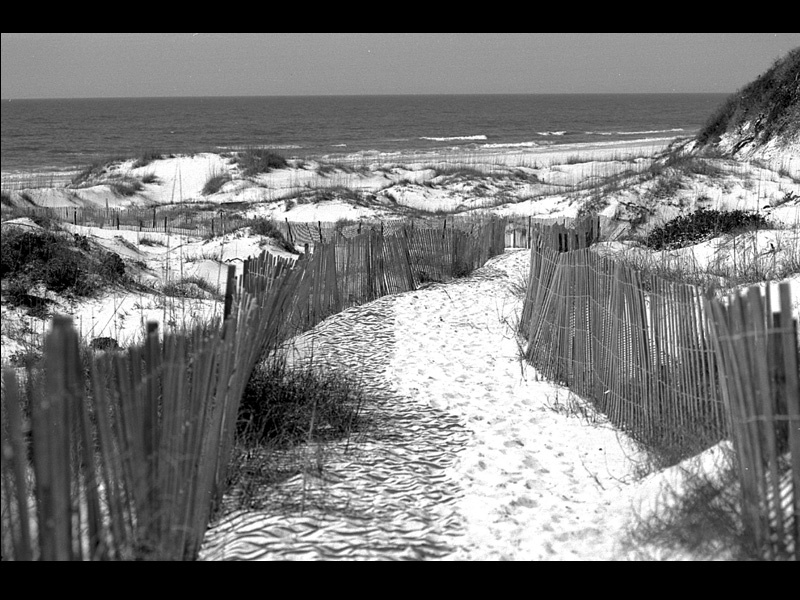 Time has proven that these dunes help protect park amenities. 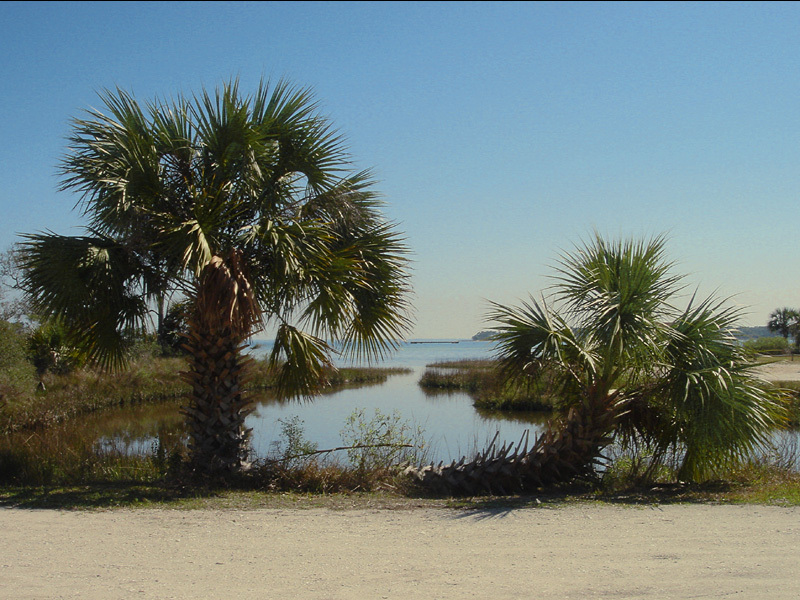 St. Joseph Peninsula State Park is equipped with a boat ramp and a small marina that can accommodate 15 - 18 small boats at a time. A loading area is adjacent to the accessible outdoor shower and a fish cleaning station. Cost for boat launching is plus tax over daily entrance fee. Overnight guests have free use of the boat ramp and may leave their boats moored at the marina, space permitting. Other boaters must remove their boats by sunset. Florida residents may fish from the beach or bayshore without a fishing license. Non-residents and boat anglers must possess a fishing license. Regulations change frequently so pick up a copy whenever you visit. Fish caught in the waters around the park include: Speckled Trout, Red Drum, Flounder, Mullet, Bluefish and Whiting.SPEARING: Prohibited up to 400 feet offshore. Please check current fishing regulations. " Hawaiian slings" cannot be unloaded and are not allowed in the park.SCALLOPING: Bay Scallops are found in the clear water of St. Joseph Bay and harvested during the season of July 1 - September 10. Fishing licenses and dive flags may be required and may be purchased from local vendors. Snorkelers are drawn to the clear water of St. Joseph Bay in search of sea horses, brittle stars and horseshoe crabs. Dive flags are required and may be purchased from local vendors. St. Joseph Peninsula State Park offers 3 different trail experiences: The Maritime Hammock Trail winds through a coastal hammock environment to the shores of St. Joseph Bay. The Bayview Nature Trail curves through a maritime oak community and a salt marsh before running alongside the bay. This trail offers a stepping off point to the Wilderness Preserve trail. The Wilderness Preserve Trail begins at the end of the paved road and continues through 1750 acres of an unspoiled coastal ecosystem. The trail stretches through the center of the peninsula for 7 miles before reaching the tip. There are no bathroom facilities, no water, and limited shade, so please plan your visit accordingly. 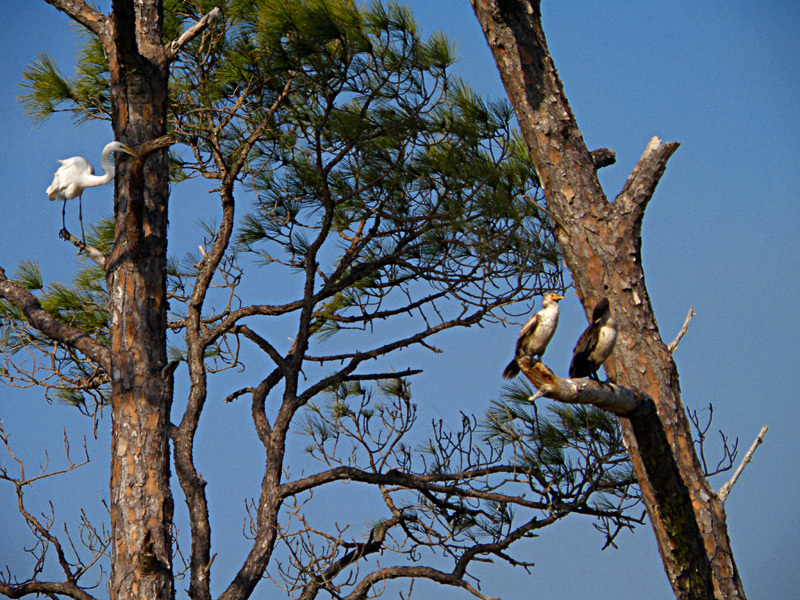 Late September throughout October, thousands of migrating hawks and falcons fly over or rest at St. Joseph Peninsula State Park. These raptors travel south from Canada and the northern United States until reaching the Gulf of Mexico, where they turn to the west following the Gulf coast until reaching Mexico and South America. Following the passage of cold fronts, large numbers of sharp-shinned hawks (with a few Cooper?s hawks mixed in) and broad-winged hawks are seen daily. American kestrels, merlins, the endangered peregrine falcon, Mississippi kites, marsh hawks, opsreys, red-tailed hawks, and red-shouldered hawks can also be seen in small numbers. 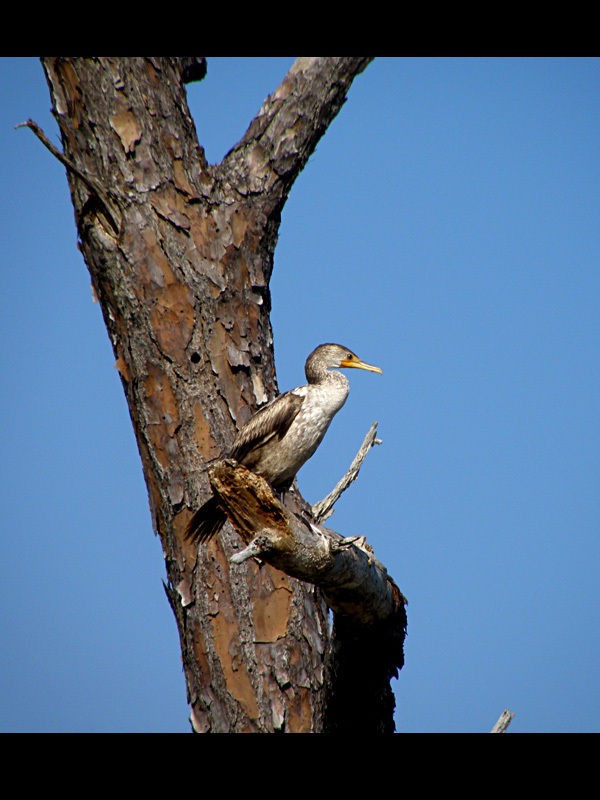 Download our bird list that includes 247 species that have been observed at our park, just one site on the Great Florida Birding Trail, www.floridabirdingtrail.com. 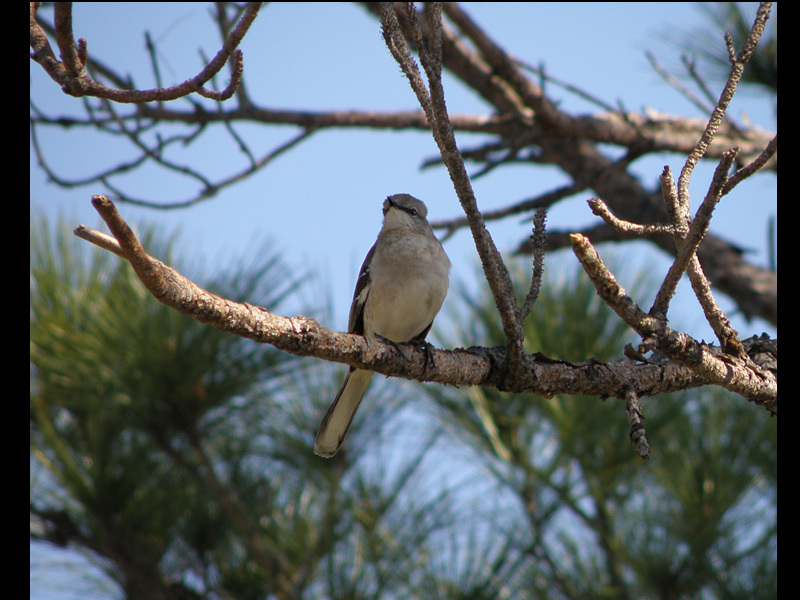 Please be sure to visit us each October as we participate in the Florida Panhandle Birding and Wildflower Festival. See www.birdfestival.org for more information. Pets are not permitted in the Wilderness Preserve,Cabins or Youth group camp. 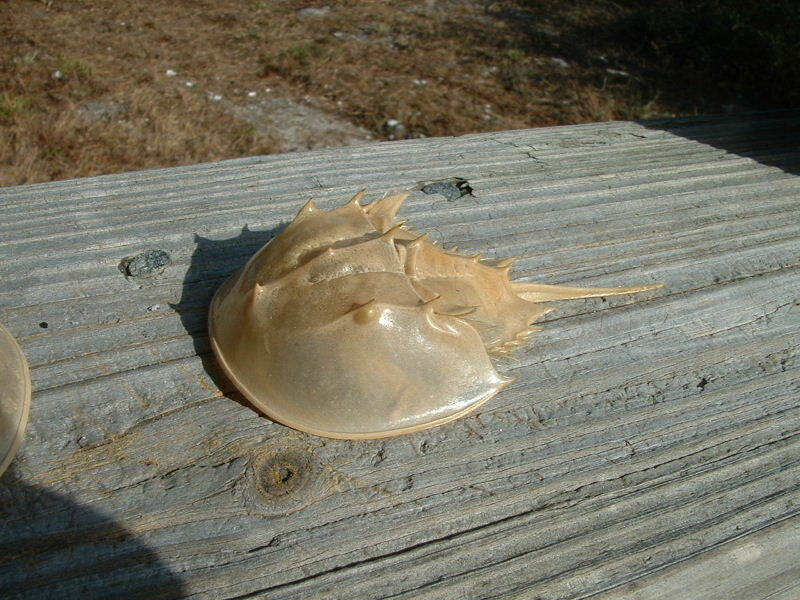 Pets are also not permitted on beaches within the State Park. We were there from July 19th to July 24th, and we had a great time, I spent many hours fishing in the bay and in the surf while my wife and daughter spent time on the beach. We are already planning to go back and take more family with us to enjoy such a great place. have been there several times and each time I see the water or the lighthouse differently. God has enjoyed making this place more beautiful everytime I see it. 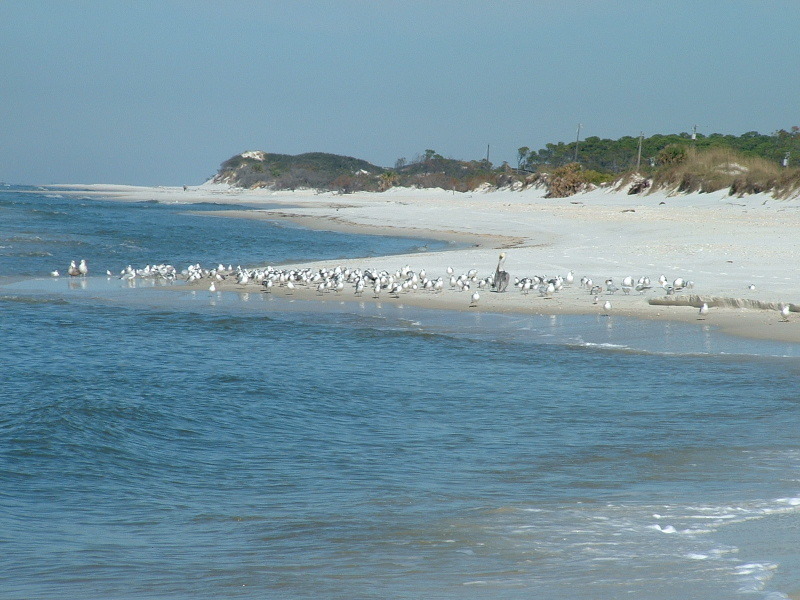 St. Joseph Peninsula State Park is located near Port St. Joe. On US 98 (heading East) turn onto SR30-A, travel to SR30E, turn and travel to the park.From Apalachicola, take US 98 West, turn left on C-30A, then turn left on C-30E and travel to park.